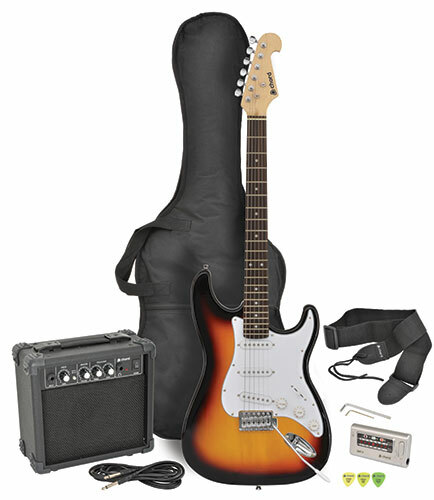 Complete guitar package comprising a CAL63 electric guitar, 10W amp with switchable overdrive, digital LED guitar/bass tuner, strap, lead, 3 plectrums and a gig bag. Ideal for beginners and students. Also available as a base Guitar package. 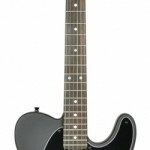 The CAL62 is a single cutaway, traditionally styled slab body electric guitar. These guitars are a deluxe version, having an edge-bound solid alder body bolted to a maple neck and rosewood or maple fingerboard. 2 single coil pickups are governed by master volume, tone and 3-way lever switch. From new country twang to brash rock, this guitar has got it covered.